The US bans Huawei and solar panels. China ‘investigates’ sorghum. Is a trade war developing between China and the US? Not so fast, says political analyst Kaiser Kuo, and former communication director for Baidu, at Wired. What we see according to him is just business as usual. Not everyone sees the recent round of actions as an escalation. 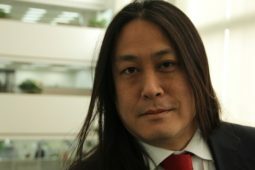 Kaiser Kuo, host of the China-focused podcast Sinica, says the IP investigation and other actions are typical of the trade disputes between the US and China. Kuo says Beijing probably sees things like blocking Huawei from the US as retaliation against China over a cybersecurity law that requires technology companies to host their data in China. Apple is moving its Chinese customers’ iCloud data to a government controlled cloud hosting company to comply with the law. Kaiser Kuo is a speaker at the China Speakers Bureau. Do you need him at your meeting or conference? Do get in touch or fill in our speakers’ request form. Are you looking for more political analysts at the China Speakers Bureau? Do check out this list.